Jumanji: Welcome to the Jungle (film, 2017). A 2017 American fantasy action-adventure comedy film with "PG-13" rating by Sony Pictures Releasing/Columbia Pictures. Directed by Jake Kasdan. Official Trailer. 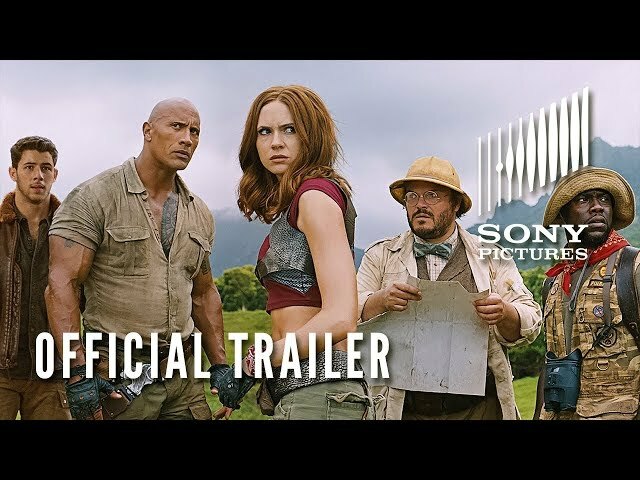 Jumanji: Welcome to the Jungle is a 2017 American fantasy action-adventure comedy film directed by Jake Kasdan. 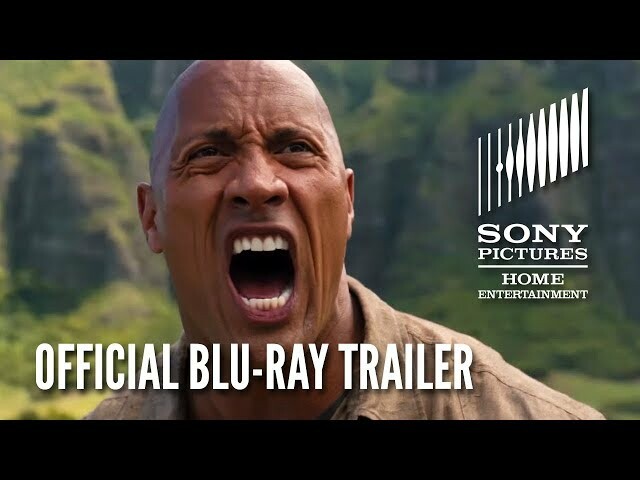 JUMANJI: WELCOME TO THE JUNGLE - Official Blu-ray and Digital Trailer HD (2017). In Brantford, New Hampshire (1996), teenager Alex Vreeke is given the Jumanji board game by his father, who found it on a beach. Uninterested, he sets the game aside. That night, it transforms into a video game cartridge which catches Alex's attention when he is awakened by the Jumanji drum beats. When he begins playing it, he disappears into the game. Twenty years later, four students at Brantford High School are given detention: Spencer Gilpin and his former friend Anthony "Fridge" Johnson for cheating, Bethany Walker for making a phone call during class, and Martha Kaply for talking back to her gym teacher and refusing to participate. In the school basement, where they are serving their detention, Fridge discovers Alex's discarded video-game system, and he and Spencer decide to play. Although it has five playable characters, they are unable to select the first one, so they choose two others, and convince the girls to play as the remaining two. When Spencer presses "Start", they are transported into the game. They land in a jungle, in the forms of their game avatars. Spencer is a tough, muscular explorer and archaeologist named Dr. Smolder Bravestone; Fridge is a diminutive zoologist named Franklin "Mouse" Finbar; Bethany is an overweight male cartographer named Professor Sheldon Oberon; and Martha is a female commando and martial arts expert named Ruby Roundhouse. They each have three lives marked on their arms and Bethany immediately loses one after being eaten by a hippo. Spencer deduces that if they lose all three, they die for real. Principal photography began on September 19, 2016, in Honolulu, Hawaii, primarily at the Kualoa Ranch nature reserve. 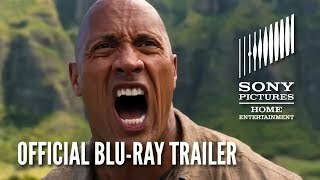 The film Jumanji: Welcome to the Jungle was scheduled to be released by Sony Pictures Releasing and Columbia Pictures on December 5, 2017 (Grand Rex), on December 20, 2017 (United States, France), on December 21, 2017 (Germany, Mexico, Hong Kong, Russia, Ukraine, Singapore, Croatia, Hungary, Israel), on December 22, 2017 (Spain, Sweden, Vietnam) and on January 12, 2018 (People's Republic of China, Norway). The duration of the film is 119 minutes. With a budget of $90 - 150 million, the film grossed over $962.1 million. 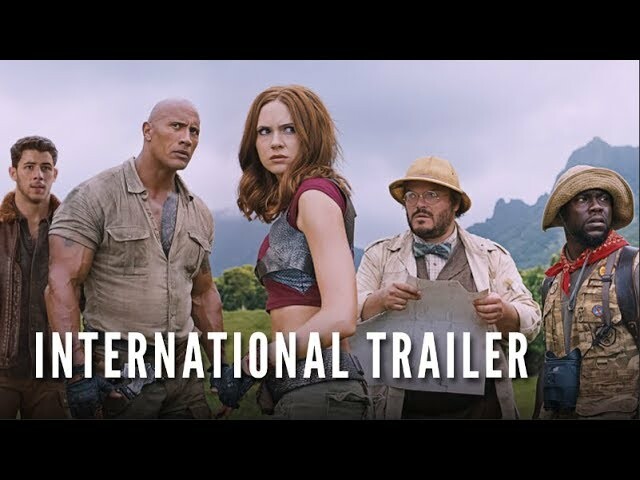 Jumanji: Welcome to the Jungle got high rating from critics. The audience also likes the film. Audiences polled by CinemaScore gave the film an average grade of "A-" on a scale ranging from A+ to F.